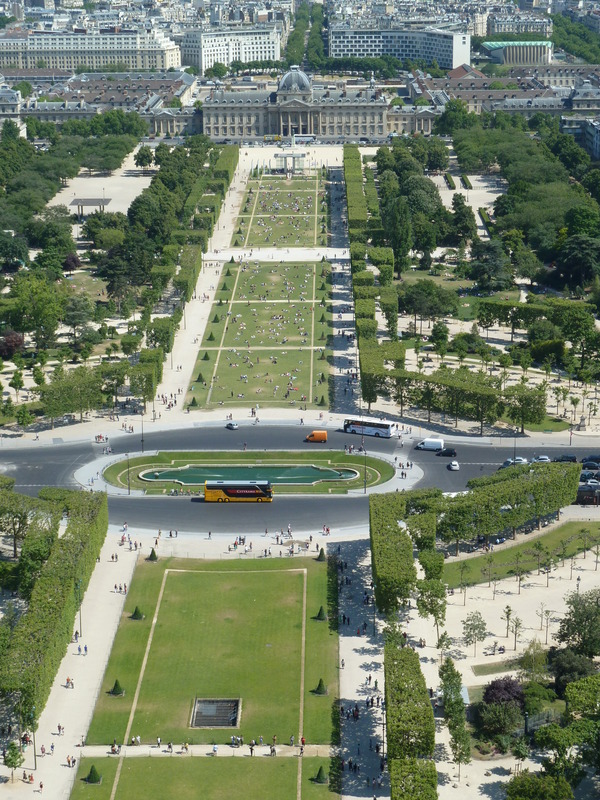 The Eiffel Tower – It’s all getting a bit too meta! 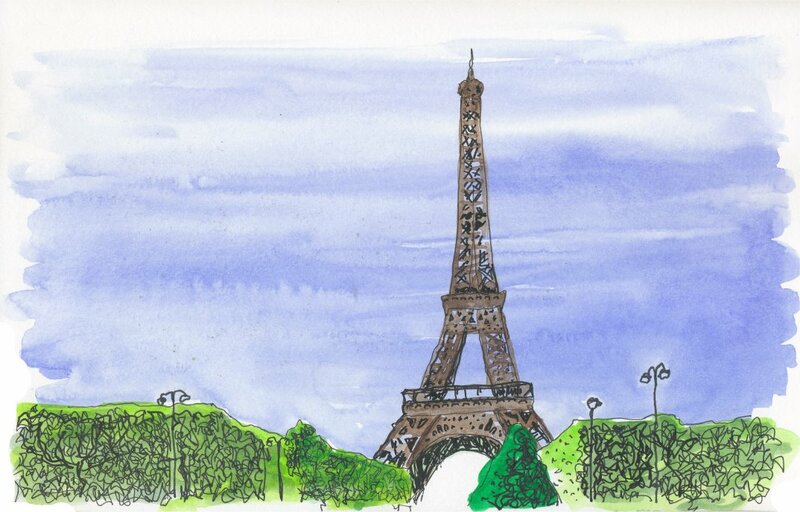 A couple of years ago, whilst in Paris, I sketched the iconic Eiffel Tower. This was all done while Lucy and Caroline took a trip up the tower. I then wandered across the road and settled down beside a piece of shrubbery to draw another view of the tower. 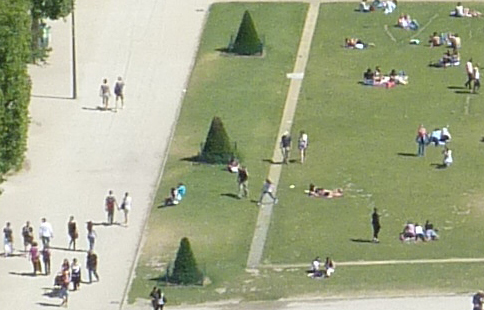 Not realising that Lucy and Caroline, now having ascended the tower, were taking photographs of the view. 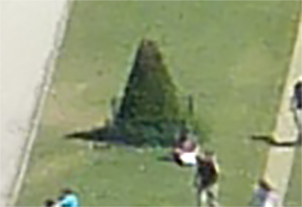 Sat slightly to the right of the cone-shaped shrub. So, in fact, while Lucy and Caroline were photographing me, I was unknowingly sketching them on my tower sketch. Unbeknownst to me Caroline and Lucy had climbed to the second level by this time and took a photo of the park below, where I was sketching. A lovely warm day.